Imagine you are a surgeon performing an operation to repair a patient’s injured pulmonary vein. Damage to this vein is a real problem for the body, as it interferes with how oxygenated blood is circulated around the body. Something happens during the procedure; the oxygen saturation, that is the amount of oxygen in the blood drops dramatically. Blood is still circulating, but the patient is rapidly heading for hypoxaemia – the state of too little oxygen in the blood for survival. What do you do? There are a variety of causes and cases of death due to hypoxaemia each year. Injury to the pulmonary artery can be one, and victims of this include Princess Diana. Similarly, weakness of the connective tissue in arteries near the heart, where blood pressure is highest, can give rise to what is known as an aneurysm – a ballooning of the vessel. Earlier this year, a horse called Arcadius suffered fatal damage to his pulmonary artery after a race in America, for just this reason. This type of injury or event leaves medical and surgical staff with at least two problems to sort out. One is to repair the physical problem, such as a tear in the pulmonary artery; the other is to keep the patient alive for long enough to perform the procedure. The latter requires a managed supply of oxygen into the blood. Although in theory there are large machines that can do this, they are not easily transported and getting a patient on to them during a trauma is not trivial. 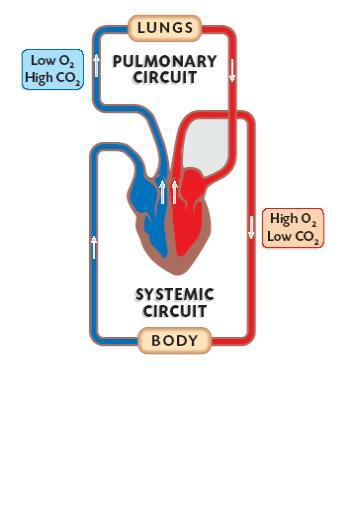 Thinking laterally, it is much better to be able to put oxygen into the system intravenously. The problem is that oxygen is a gas and it is not possible to just stick a gas into a vein. Giving a lot of saline with oxygen dissolved in it does not work either – it is not possible to dissolve enough oxygen, and such a large volume of saline would be necessary result in a huge increase in the volume of blood, with a decrease in the concentration of erythrocytes (red blood cells). So, what is required is a liquid in which a disproportionate amount of oxygen is contained. In principle, a small but oxygen-rich volume of liquid would not only have the desired effect but would also be quite portable . An exciting development from the Harvard Medical School suggests an exciting possibility to this end: “oxygen-filled microparticles”. This idea has been tested and published by Kheir et al. . What they have developed is a kind of lipid-based system in which pure oxygen gas is kept in bubbles, like vesicles, that are themselves suspended in an aqueous solution and that can be injected directly into the blood stream. A particular advantage of this development is that because a lot of the volume of the material is a gas, it is used up rapidly. When the gas diffuses out of the vesicles and into the erythrocytes, where it is used up in metabolic processes, the effective volume added is as low as 10-15% of the volume of the original solution. The viscosity of the prepared solution must match that of the blood into which it goes, in order that it disperses properly when it reaches it . However, the physics of this system have not yet been investigated. In order to work, the gas must of course diffuse across the lipid mono/bilayer. It is not yet clear precisely what effect the components of the surface of these particles (either lipids or proteins) might have. What has been observed in this work is that certain combinations of lipids and proteins are less favourable than others. Systems containing the lipid PE were observed to be much less stable than those containing phosphatidylcholine (PC). PE is known to induce a much higher degree of membrane stress than PC, and so it may be worth investigating the effect of curvature elastic stress on the gas diffusion across this barrier. The effect(s) of curvature elastic stress on this system, which is undoubtedly mediated by the presence of proteins [3,4] provides an excellent opportunity for tuning the system to cope with the shortfalls of the model proposed. For example, the system proposed by Kheir et al. is not quite as efficient as would be required, in order to allow sufficient time for surgical intervention. There are also concerns about the possible toxicity of components, and so anything that could minimise their use is obviously a benefit. Despite these avenues for further research, and the improvements required for commercial and widespread use, the principle that has been established is an important one. It seems clear that life-supporting amounts of oxygen can be injected into a living mammalian body. If such a facility were to become widely available, in the way that defibrillators have become in recent years, it seems inevitable that lives will be saved as a result. R. C. Koehler, Science Translational Medicine, 2012, 4, 140fs21. J. N. Kheir, L. A. Scharp, M. A. Borden, E. J. Swanson, A. Loxley, J. H. Reese, K. J. Black, L. A. Velazquez, L. M. Thomson, B. K. Walsh, K. E. Mullen, D. A. Graham, M. W. Lawlor, C. Brugnara, D. C. Bell and F. X. McGowan, Science Translational Medicine, 2012, 4, 140ra88. G.C. Shearman, G.S. Attard, A.N. Hunt, S. Jackowski, M. Baciu, S.C. Sebai, X. Mulet, J.A. Clarke, R.V. Law, C. Plisson, C.A. Parker, A. Gee, O. Ces and R.H. Templer, Biochemical Society Transactions , 2007, 35, 498-501. W. M. Henne, H. M. Kent, M. G. J. Ford, B. G. Hegde, O. Daumke, P. J. G. Butler, R. Mittal, R. Langen, P. R. Evans, H. T. McMahon, Structure, 2007, 15, 839-852. See also Pykäläinen et al. Nature Structural & Molecular Biology, 2011, 18, 902–907 and Dawson et al., Trends in Cell Biology, 2006, 16, 493-498.